Also OH man MoCCA! Thank you so much to the people who came by and got stuff from my table! :â€™) I plan on tabling there next year again! Later on this year if you are in the Baltimore area I will for sure be at Otakon selling comics and charms and taking commissions! I will also be at SPX in Bethesda this September. I got a ton of amazing comics by the way! Iâ€™ve read through some of them so far and I canâ€™t wait to finish the pile! Here’s what I got so you all can see! To other people who are interested in charms, I have some extra left over from MoCCA so would you all be interested it if I made an order page so you can purchase them? These are what they look like. They can come on either a necklace, a phone charm, a key ring or a dangling pin. 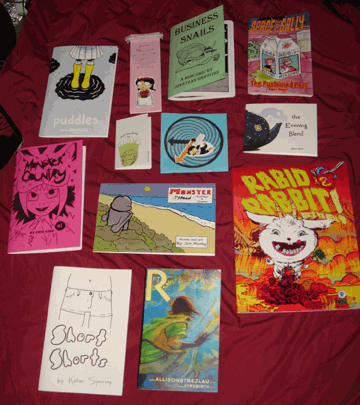 Iâ€™ve been considering for a bit selling mini comics online too, I just didnâ€™t know if anyone was interested. And finally Mimolette has been completely uploaded onto my Deviantart. I have gotten the update to work on the site now, I just need to figure out if I want to attempt Webcomic/Inkblot again or not. In the mean time you can read it here. Oh and finally my friend Jon made a tumblr dedicated to something called Terror-Bear go check it out because a lot of people have drawn this thing. Jared has the best reactions. 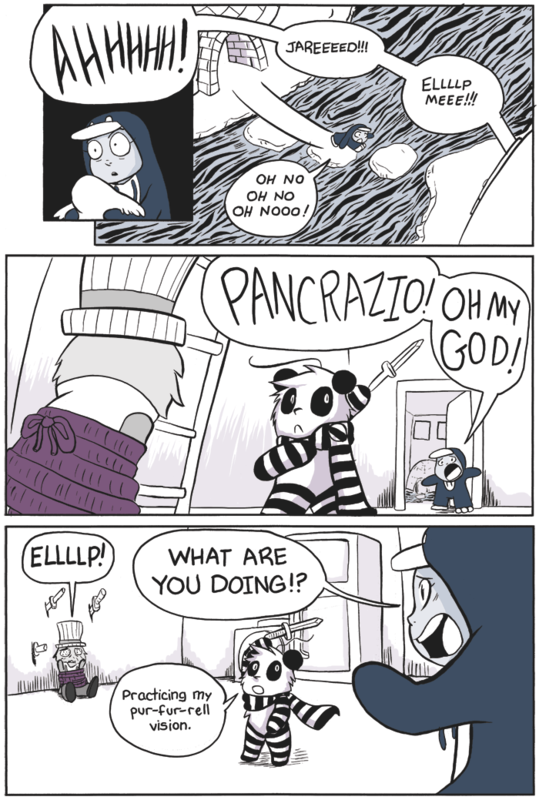 Aww, poor Pancrazio! At least Jared’s there to save him.